Starbucks, there’s not enough caffeine in the world to entice me into a random conversation about race in America with a stranger. Apparently I’m not alone because the #RaceTogether initiative only lasted a week. 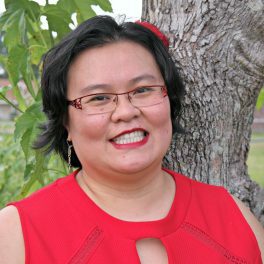 As a Vietnamese American who has two children with my African American husband, I can’t help but talk about race. Race discussions are an unavoidable part of our lives. I live it everyday when strangers ask if I’m my children’s nanny or wonder what race their father is. Thoughtful and respectful discussion about race doesn’t happen enough in our society. It’s a loaded topic many people don’t want to touch. My husband and I attempted to raise our kids to be “colorblind.” When my daughter was born nine years ago, we avoided all talk about race and skin color. We incorrectly assumed that not discussing our interracial family’s differences would allow our daughter to see that everyone around us might look different, but we’re all the same inside. Instead, I will never forget the heartbreaking moment when my 2-year-old daughter told me that she despised her light brown skin and curly hair. She cried and begged for paler skin and stick straight hair like mine. What a teaching moment that breakdown was for me. With the advice of friends, my husband and I took a different approach: We began to celebrate our differences instead of avoiding them. 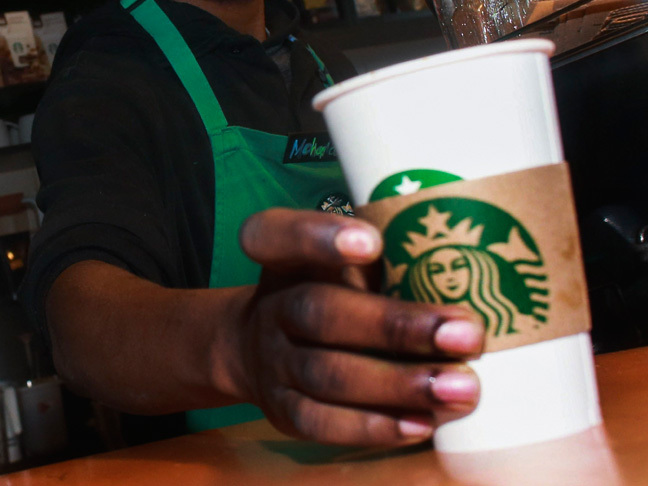 I get what Starbucks tried to do, but writing #RaceTogether on someone’s coffee cup is the wrong approach. Discussing race is very personal, especially for people of color. Many of us have been called names or been followed around a store by a clerk. Or we’re subtly refused service (ie. the clerk helps everyone else but us). You can see why we’re wary of talking to strangers about such a sensitive subject. Instead of small talk about race — what else can you really manage over the whirs of the espresso machine? — find the right time and place for thought-provoking conversations about it. For me, this happens on my blog or on Facebook; and is usually spurred by a current event (like Ferguson, MO) or the latest episode of “Fresh off the Boat.” Face-to-face convos are even better.